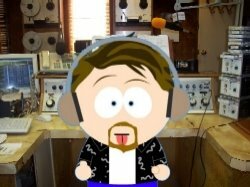 Tim Carrier is in his favorite bar, run by his friend, enjoying the simple bar chat. Known for "nursing" his beers he's there actually just to take up space and relax. he's approached by a man with a manila envelope. The man talks about how Tim is early and that he recently went skydiving with his dog. Tim seeing this as not your normal bar chat fare chats back with the man. The man then slips Tim the envelope and says there's $10,000 in the envelope, half now and half when she's gone. The man then makes a hasty retreat out of the bar. Tim opens the envelope and finds a photo of a woman who is "easy on the eyes" and an address on back. Also, as stated $10,000 in wrapped hundred dollar bills. Tim realizes he's just been confused in a murder for hire. Another man then walks into the bar and sees the envelope and approaches Tim. The man tells Tim he's early and Tim tells the man he changed his mind. The man doesn't let this happen and Tim says I'll still pay you half and removes the photo from the envelope and passes the money along to the man. Tim then leaves and gets set to call the police to tell what has happened. At this point he sees the man get into a car and place an emergency police beacon on the top of the unmarked police car and drive away. Realizing the stranger may be a cop, Tim then decides to take matters into his own hands. Tim goes to the woman's house and explains how she is in danger. Then the action never lets go. Constantly running away from what turns out to be some sort of shadow government murder for hire Tim and the woman, Linda, begin running for their lives just to be a few steps ahead of this assassin. As the story progresses we find that Tim also has a secret and that secret is what helps him stay ahead of this psycho killer. But in something a little different from most of Dean Koontz's books this secret is not a dark secret but one that leads to a very heroic ending for the book. Great action to be found and mysterious characters throughout the book keep you on the edge of your seat and constantly turning pages. 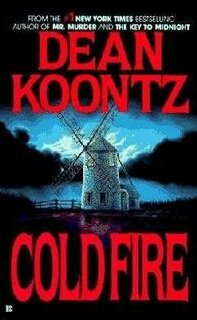 I'm going to venture to say this is one of the best if not THE best Koontz book I've read. All married couples recite the words "til death do us part." (Okay except for those few that have "alternative" weddings) Those five words are pretty much taken for granted, especially when you look at Hollywood and today's divorce rate. But there are a few of us out there that not only take that seriously but feel that sentiment with our heart. But digging down deep how far will you go to prevent that parting? 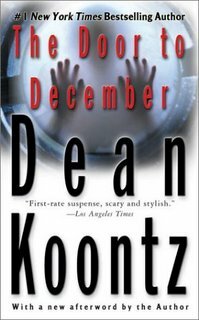 In this novel, "The Husband" by Dean Koontz, we find out just how far Mitch Rafferty will go, including killing someone and finding out the dark side of his family. The cover of the book reads "We have your wife. You can have her back for 2 Million- cash." 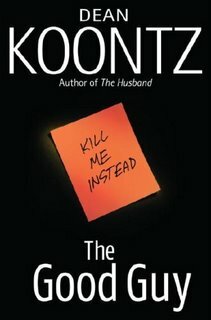 This sounds like a typical kidnapping crime book, but as any Koontz fan knows nothing is ever typical. Mitch Rafferty is simple Landscaper/Gardner who has his own small business in California. His wife, Holly, is a secretary that wants to become a real estate agent. Living their own lives simply and normally. That is until when one day at work, Mitch receives the call from Holly and then the kidnappers telling him they want $2 million. Mitch says, "I'm just a gardener, I don't have that kind of money." To which the kidnappers simply reply, "We know." Then to prove they are serious they kill a man walking his dog across the street as Mitch watches in horror. So what would a man do to get back his wife? Well without giving away too much, Mitch will do anything. But an insistent Detective Taggart seems to think Mitch is hiding something. Mitch was told not to involve the cops but was forced to call 911 after he sees the man shot. It is soon revealed that (as with most of Koontz's "heroes") Mitch had a very troubling childhood. Mitch's parents were tenured Professors of Psychology at UCI and had their own way of raising children. This bizarre upbringing for Mitch and his 4 siblings included such abuses as "the learning room," a sensory deprivation room where the children could spend up to 2 weeks in said room to "think about" what they did wrong. While Mitch may have turned out pretty normal, his brother Anson, the family Jewel, turned out to be very successful. Mitch soon learns that Anson is also hiding a secret. With more action and thrills than any movie ever produced this book will keep you riveted and not wanting to put it down even after the extremely exciting conclusion. "The Husband" proves when it comes to thrills/chills and plot twists, Dean Koontz delivers.